Put What Where? 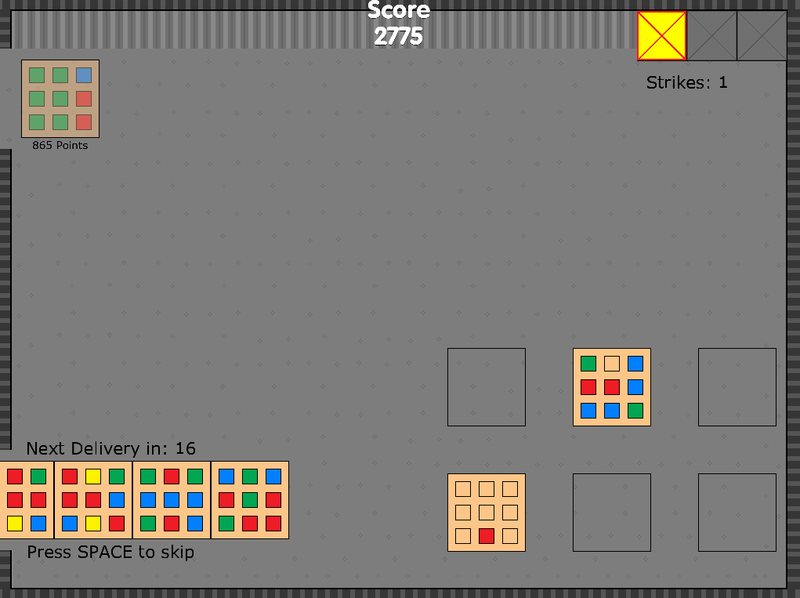 Is a sorting puzzle game created in 48 hours for the Ludum Dare 42. The theme is Running out of Space. Your goal is to receive and sort mixed pallets of different colored boxes to match the outgoing orders. You have a limited amount of space to organize, and the only way to make more space is to finish the pallet configurations and get them out the door. The faster you can finish each one the more points you get. If there is no space to receive the next incoming shipment when it arrives you get a strike - 3 strikes and it's game over. Please head over to the Ludum Dare page to rate!